Thinking about spending a stack of cash on a film camera? Read this first! In the last 5 years the value of used film cameras has gone through the roof. Demand has increased, supply hasn’t, and the price you need to pay for a lot of popular film cameras is now reflecting that. But for every day that passes, all these cameras are getting older, less reliable and harder, if not impossible, to service – a fact that sometimes seems a little lost in all the excitement! To be fair, in some ways, the increase in the value of film cameras feels like a good thing. It’s encouraging with regard to the health of the film photography community, but it’s also quite satisfying to see some value being reattributed to a lot of very viable photographic tools. In a world that’s more often so keen to dispose and buy new, all this old kit being given new lease of life can’t be all bad. Unfortunately, in an increasing amount of cases, it feels to me that the increase in value has spiralled out of control, and maybe that the buyers of some of these more popular cameras are beginning to lose a little bit of perspective. The goal of this post is not to discourage people from buying film cameras. 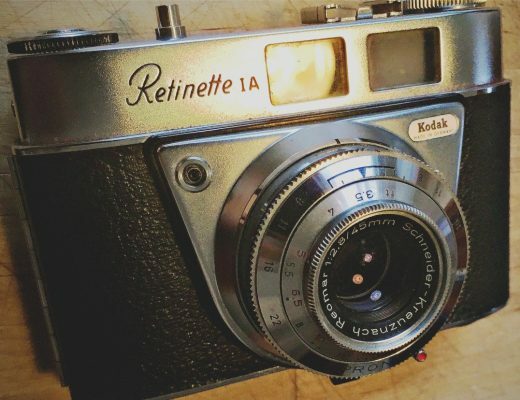 Instead, I just want to shine a bit of light on the reality of the used film camera marketplace, perhaps give readers the opportunity to reflect on whether or not they are making the right purchasing choice, or if instead they might be falling foul of a touch of gear acquisition syndrome. In short, if you’re thinking about spending what feels like a lot of money on a film camera, then read this first! 4.1 Think about the concept of value! 4.2 Have you thought about the risk? 4.2.1 Not all repair companies are good! 4.2.2 Servicing a camera doesn’t mean it will last! 4.3 Are you buying the camera for the right reasons? 4.4 Just because it’s a lot of money doesn’t mean it’s right for you! 4.5 Do you really need all those features? 4.6 It’s better to learn than to spend money! 4.7 Just because some camera review website said its good, it doesn’t mean it is! 4.8 Just because it’s used by some famous person doesn’t mean it’s right for you! 5 So don’t buy a film camera then…? 6 Just be certain it’s the right choice! 6.0.1 Do you enjoy reading 35mmc? I’ve been into photography to some degree since I was a kid, but I really fell into the deep end when I started working in camera retail in the mid-2000s. Back then, there were a lot of film cameras that had dropped in value so much that we couldn’t have given them away. I’m almost ashamed to say that my view of almost all 35mm compact film cameras back then was that they were little more than clutter. The ones that did come into the shop either went in the bin, or at best went in the junk box with the second hand camera straps, random power winders, and the 3rd party manual focus zoom lenses. 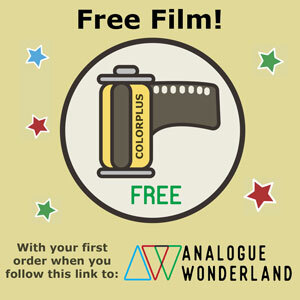 This was when the value of film cameras was at its lowest, and I’d argue, it was also the peak of throwaway culture. Film was tired, digital was booming, and new was better. So film equipment was cheap. Looking back, it now seems crazy to think that even the likes of the now very popular Olympus mju-ii sold for £15-20. I don’t remember even being aware of the Yashica T series, but I can’t imagine even the T4/T5 went for as much as the mju-ii did. I do remember, my first introduction to Contax compact cameras though. A fairly elderly gentleman brought in his Contax T3 to show me after I’d told him with some authority that there was little-to-zero value in point & shoot cameras. He put me in my place when he proudly told me his camera was still worth a couple of hundred quid. I was shocked when I searched eBay and found out he was right! Of course 10-15 years on, times have changed. We had the economic crash, people have started reminiscing about old times when the world was happier, before social media, when the things we owned were real things; things that you could touch and interact with physically. Vinyl and film photography (and beards…?) have become popular again, and throwaway culture is at least beginning to show signs of waning. But unlike the weird and wonderful world of Hi-Fi that held on to many of its greatest manufacturers of turntables, the photography industry lost the huge majority of its film camera manufacturers. The market shrank so small that it wasn’t worth their while to continue, so film camera manufacture all but ceased. By the time the market for the things started to grow again it was too late, so all that was left for the regrowing community of film photographers was the used film camera marketplace. 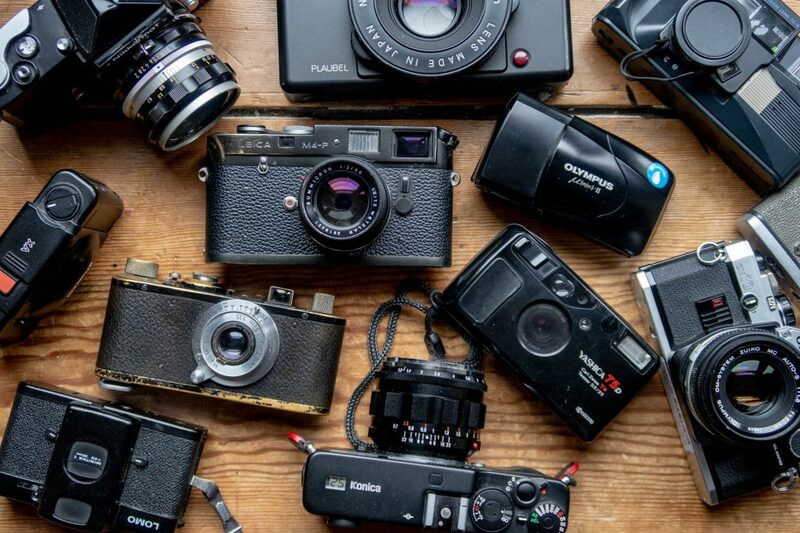 This lack of new-to-market film cameras has since had a huge impact on the value of used ones. Nowadays, the Olympus mju-ii is rarely seen for less than £100. The Yashica T4 often goes for more than £300, and then there’s the likes of the Contax T3 and T2 that are now approaching, or even sometimes exceeding £1000. I sold my Contax T3 after it’s value exceeded it’s usefulness to me. They are now worth at least 50% more than what I sold mine for. In fact, it’s fair to say that many of the old cameras that I once threw away would likely now find themselves on the shelf with a price tag that would have made me laugh 10-15 years ago. My local London Camera Exchange regularly has fairly low end 35mm compact cameras taking up space in their second hand cabinets. Gareth, the manager, tells me demand is strong too. Not long ago he would turn them away when people bought them in to exchange. He can’t get enough of them now! As I said at the beginning of the post, in a lot of cases, this increase in value isn’t all bad – it is quite literally saving perfectly serviceable cameras from the bin. But of course, as the value of these cameras has increased, time has also passed. And with the passing of time, all these cameras are getting older. And, as I also said at the beginning of the post, for every day they are getting older, they are also getting less reliable and harder, if not impossible to service. Parts are running out, the manufacturers who to still service their old cameras are few and far between, leaving the repair jobs to a mostly ageing population of service engineers. Yet even the unrepairable nature of some cameras hasn’t been reflected in their used value. Many cameras that could brick at the drop of a hat are still increasing in value, and probably will continue to do so as they get more and more rare. Now, I don’t often offer explicit advice on this website. I don’t like telling people how to think, assuming how they might think or even what they might know. But given that the usual theme of this website implies that I encourage people to spend their hard earned cash on cameras, I felt it about time I put my name to a few words of around some of the more brutal realities buying used film cameras. Think about the concept of value! First things first, I think it’s important to reflect on the concept of something’s value. The value of anything is based on supply, demand and what people are willing to pay. There’s a fine balance when it comes to new-to-market products, but in a market place largely made up of second hand equipment where demand increases, and supply doesn’t, the value of something can increase beyond its relative worth. Much of what I’ve written above was to highlight the point that what people are willing to pay for film cameras has increased a lot over the last few years. But, importantly, just because people are willing to pay more for something doesn’t mean that thing is worthy of that price tag. This is true of a lot of film cameras now, especially the high end point & shoot cameras! Have you thought about the risk? Have you considered how much money you have to lose if things go wrong? There is every possibility that when you buy a film camera it might fail soon after you buy it, with little or no come back. Can you afford to lose all of the money you are spending? If you can, fine, but either way, it is worth thinking about, and perhaps even researching how repairable the camera you are looking to buy is, or isn’t, if it goes wrong. You might find yourself surprised just how many film cameras, especially the electronic ones, are essentially irreparable. I once became obsessed with having a well functioning Ricoh GR1v – have a read about how much that madness cost me. A lot of the most valuable film cameras are also some of the most risky purchases. This mad craze for autoexposure/autofocus compact film cameras seems crackers when you consider that these cameras have the highest risk of catastrophic failure, and for the most part are irreparable when they do fail. In the end, I lost all of the money I invested into that camera! It makes fairly amusing reading in hindsight, but would you find it amusing if it happened to you? Not all repair companies are good! Speaking from the point of view of someone who has been through aforementioned painful Ricoh GR1v experience, I can tell you that even if a company tells you it can repair a camera, it doesn’t mean they will, or indeed that they can do a good job. If you’ve read my post about my Ricoh disaster, you’ll know that the repair company in question replaced parts with the parts from a GR1s meaning the camera didn’t function as it should. It had to go back a number of times to be rectified, and when it came back fully functioning, it still didn’t last long before it failed again. Servicing a camera doesn’t mean it will last! You shouldn’t pin all your hopes on a repaired camera working forever either! The repair company who fixed my Ricoh wouldn’t even guarantee the repair for more than a month. Their view was that even the new-old-stock spare parts were old so they didn’t know how long they would last. If that’s the case for new parts, how long will pre-worn parts from other dead cameras last? It didn’t cost me much to have the camera repaired, but I no longer have the chance to send it back to him and have him take another look. My only option is to send it to someone else and pay again. That SV cost me about £20, that could add up to around £150 once I’ve had it serviced twice. It’s a great camera, but it’s not worth that much to me, so I’m faced with the only option of selling it cheap to someone else who’s willing to pay to have it repaired again. I’ve bought and sold a lot of cameras over the years, and this isn’t the first or last time this has or will happen to me. This hobby has become a money pit, and I don’t expect that to change any time soon! One point I feel obliged to note here – if you get to the stage that a camera doesn’t appear to be worth repairing, and/or doesn’t seem to have any value to sell on. Still try and sell it for parts. If that fails, find a repair company to donate it to. It might not be useful to you, but something in it might be useful to a repair company. Even the little screws inside it have value to someone looking to piece a camera back together. Are you buying the camera for the right reasons? Happy to take the risk still? Well, before you do, let me share some thoughts I have around gear acquisition syndrome. For many of the reasons I will come to, it’s very easy to get swept up in the excitement around some of the cameras that have recently rocketed in value. The funny thing about demand, is that it also translates into validation. If other people are willing to pay an amount for an object, then surely it must be worth spending that money on? Not only that, but if all these people are buying this thing for this amount of money, well they can’t be all wrong, can they? Moreover, what do they know that you don’t? This sort of mentality isn’t something often even consciously thought about, but it happens to all of us! As such, I think it’s important to reflect on whether or not you are buying a camera for the right reasons. Will it genuinely have a positive impact on your photography? Or do you want it because it looks pretty, or because you’re intrigued by it? I’d never discourage someone for a purchase based on any of their own personal justifications, I buy cameras for all sorts of reasons. The point is though, being honest with yourself about your reason you want to buy a camera is often advantageous in the process of making the best decision. Just because it’s a lot of money doesn’t mean it’s right for you! Read any review I’ve written on this website and you’ll find I picked holes in the camera I was writing about. I can pick holes in any camera, not just because I’m picky, but genuinely because every camera ever made has flaws. Even the expensive ones! This is especially true given how subjective it all is. How well a camera works for any given photographer has never, and will never, be entirely dictated by its value. Some of the most expensive cameras I’ve used haven’t suited me, and some of the least expensive have suited me a lot better and resulted in photos that are little different in terms of their objective qualities. Do you really need all those features? Additionally, it’s worth reflecting on the fact you might just not need some of the objective “advantages” an expensive cameras brings to the table. For example, a high end professional-spec camera might seem to be the “best”, but do you really need high frame rates and compatibility with some esoteric flash system – not to mention the added weight and bulk!? In the case of the expensive compact cameras, the question you might want to ask yourself is whether or not you will actually use the aperture priority mode. I rarely used it when I was shooting with those cameras – this is a big part of the reason I don’t bother with them now (that and the stupid prices). It’s better to learn than to spend money! As I said at the end of my post advising newbies coming into film photography on which camera to buy here, it’s better to learn your way around a problem than buy your way around it! A new camera with more features might seem like it provides a solution to a problem, but the solution might be within the camera you already have. Have a read about my experience with an Olympus AF-10 Super – a simple modification to its function combined with an understanding about how it worked and my photographic experience and knowhow, made it the near perfect compact camera for my needs. Just because some camera review website said its good, it doesn’t mean it is! I try to be balanced in my reviews, but like a lot of cameras reviewers I do get wrapped up in the joys of a camera and occasionally wax hyperbolic. I like to think I don’t get too carried away, not like some reviewers do… but either way, as I’ve said, it’s all subjective anyway! In short, take what you read on websites like this one with a pinch of salt! Just because it’s used by some famous person doesn’t mean it’s right for you! Finally, I think it’s important to note that value and desirability are often dictated by fashion. The most obvious example of all this in the world of film photography is the Contax T2. It’s a good camera, but it’s not perfect. Yet, partly because some famous American off of Instagram has one, the value of them has gone through the roof. 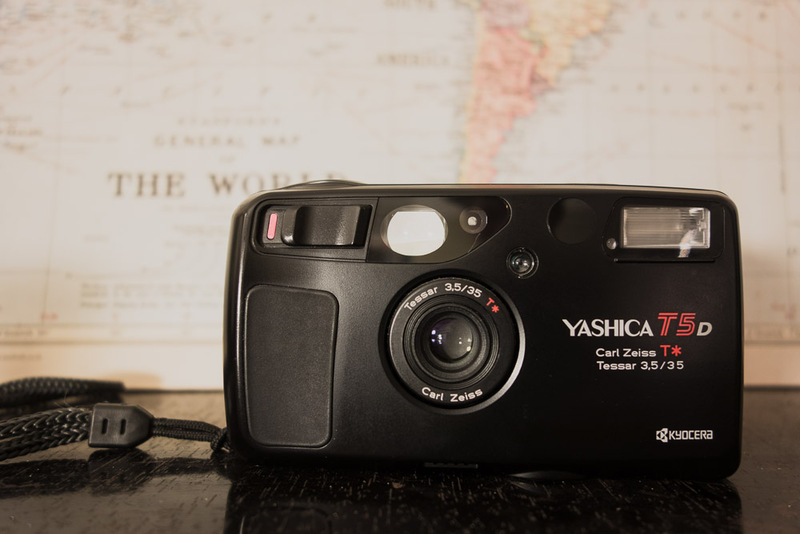 The Yashica T4 is another; famously used by Terry Richardson, the value of them also went through the roof. Yet as Mike proves here, the photos it produces are really no different from a Canon with near identical, if not slightly more useful features, that can sometimes be bought for as little as 1/100th of the price!! Have you really thought hard about what other camera out there might do as good a job as the fashionable one you crave? So don’t buy a film camera then…? I’m sure all this sounds very negative, maybe even like I’m trying to discourage the purchasing of some of the more expensive film cameras? Of course that’s not the case! It would be very easy for me to recommend that no one buys an expensive electrical camera, and that the only sensible film camera purchases are ones that can be guaranteed to be repaired. But that sort of recommendation is just impractical, and frankly, likely to be ignored – I don’t even follow that advice myself, so it would be pretty bloody rich for me to peddle it as if I do! That said, I must admit, there is a part of me that wants to shout from the roof tops about how bad an idea it is to buy a Ricoh GR1v for how fragile they are now. Or to dig out every Contax T2 buyer and goad them for buying such a ridiculously expensive fashion statement. The reality is though, it’s perfectly plausible that a Contax T2 is the perfect camera for any specific individual, or that someone might find a Ricoh GR1v that actually still works, and will do for at least another… maybe, 8 or so minutes… Seriously, they really are a terrible choice these days! Just be certain it’s the right choice! Joking aside, the point of this post is not to put people off buying the camera of their dreams, at whatever price they are willing to pay and despite any amount of risk. My goal is simply to encourage a bit of realistic thinking. Is that camera your thinking of buying really worth all that money to your photography? Are you really certain it’s the right camera for you? Are you buying it for the right reasons? And have you thought about the risks, and what will happen if it breaks? If the answer to all of that is an assured yes, then crack on my friend, I hope you enjoy your new purchase, and I wish you every bit of luck with it! But, if you’re unsure, even just a little bit, then maybe you should just sleep on it one more time! This has impeccable timing. I’m watching a Photographica Auction online at the moment, and two Yashica T2s went for £400 for the pair, despite the estimate being £30-£50 (!) I was absolutely gobsmacked, until the same happened with a collection of Olympus mjus, Astonishing how quickly the prices have spiralled on some cameras, while other (less well known, but arguably higher quality) cameras have stayed at a low price. Hamish, some very useful comments and valid observations. Much thought for prospective buyers. I doubt any film camera manufacturer ever anticipated that people would be still using their film cameras so many years later. I don’t know what the anticipated life was, of say, a Yashica T4 or Ricoh GR1, but I’m pretty certain it wasn’t 28 years in the case of the T4, which I understand debuted in 1990, or indeed the 22 years of the GR1. If these cameras failed within 10 years, say, many would have put this down as normal, and would have simply purchased either a replacement, if the model was still in production, or bought something else it it wasn’t repairable or uneconomic to repair, with hardly a thought. Were it not for digital, and the disruption it brought to the market, film camera manufacture would have continued unabated and users’ needs would continue to be satiated. The fact that some of these cameras are still working so long after they were made is still a credit to them. They pioneered micro electronics in cameras, gave us AF and AE, auto film winding et al, in remarkably small packages. I purchased my T4 and GR1 new, and still have them, and thanks to batteries being easily obtained, they still work faultlessly. This is partly owing to both being “retired” around 2002 and mothballed. I see the prices being asked, and think that they are ridiculous a) for what the camera is, and b) for the concerns about failure rate. Will these two, well looked after and not abused cameras last, or is there an inherent “fault” that no matter how little they have been used and how much they have been cared for, will inevitably raise its ugly head? Your highlight repairs, or more rightly, can a camera still be repaired? This must be of major consideration for any buyer, especially of higher priced cameras, and whether or not it can be repaired should, surely, reflect asking prices, but often it doesn’t. I see that I’ve waffled on a bit here, but I hope I have added to the conversation. A much needed breath of fresh air. I have in the last month returned three cameras to the supplying dealers (who all gave warranties). One never worked except in manual mode but no functioning meter, one was mechanical and the rangefinder became uncoupled and the last had a parasitic battery drain. The latter two had been serviced. Most are old, most have no parts and even the longstanding camera specialists won’t repair them. I’ve also had to return two lenses in the same period as they were not functioning, and one dealer has paid for me to service a third. I’ve also been sold a fake Hasselblad acute matte screen, which I found out was wrong after getting three rolls of film from a portrait shoot developed and all were badly out of focus. I’m reminded of the classic car boom – far too many dogs are being sold for far too much by people who don’t care (with some great exceptions). Shop with care and be prepared to write off your money. Charles, your buying experience reminded me of the cameras where the sellers express the opinion that the fault “should be an easy fix.” Oh, yeh? Then why didn’t they get it fixed before offering it for sale? Sometimes, though, one’s desire for a particular camera can end having to weigh up the pros and cons. I’ve always fancied adding a Contarex Super to my collection, and these aren’t cheap and not only this, they are notoriously difficult to get repaired, if at all. I recently came across one for which the asking price was very attractive. It was a later model with the top switch for the meter, and came with an earlier silver bodied f2/50 Planar. I asked the seller what I thought were all the relevant questions, all positive responses, and as I could see that the camera was in excellent cosmetic condition, I proceeded with the purchase. When it arrived I was very pleased; it was exactly as described and fully functional, including the Planar which was exceptionally clean. It even had the rare bayonet to 49mm filter adapter. So I played with it, shutter firing OK, meter working and seemed accurate. I took the back off for an internal inspection as I fired the shutter and found nothing untoward. As I purchased it as a long-time desire and to add to my collection, not as a user, I put it away, feeling very pleased with my bargain. A couple of weeks ago I got it out to play with again, as subsequently I’d discovered that a small button on the top plate was, in fact, the mirror lock up switch. It was at this point that I discovered that there was a fault with one of the shutter curtains and was only visible when the shutter was cocked. In all other respects the shutter material looks in excellent cosmetic condition, but it has tiny holes at one end. Now the one question I didn’t ask was had it been tested with film. I suppose that I am disappointed in a way, but set against this I really didn’t intend shooting film with it, and in every other respect I do at least have a fully functional camera should I venture to repair the shutter curtain. Or, leave it as it is as a working sample of OTT German engineering. There’s some good news. I have a lovely Planar which can be used on my Fuji digital cameras. Despite the unique mount, thanks to the Chinese. Seems that the only films cameras now that are still cheap relative to value are electronic SLRs. You can still pick up minty Nikons and Minolta SLRs for not very much. Yes they’re not masterpieces of mechanical engineering carved out of solid brass and won’t look effortlessly cool in a glass cabinet, but they are still incredible cameras that take great glass and are very capable. I recently picked up a Minolta Dynax 7 for a fraction of what I paid for my M6, it’s an advanced camera that has more capabilities than I’ll ever use. I honestly think the last generation mid/top range autofocus SLRs are about the best possible way to go for people that want to get on with film photography and make the most of it, and not worry about admiring the camera itself. Sure a Nikon F80 or F100 won’t feel nearly as special as an F3, for example. But they’re far more capable. Also, if you’re coming from using DSLRs, there’s virtually nothing to get used to, they work and feel basically the same. Even the metering is basically just as good (matrix/honeycomb/etc. ), and works on similar principles. I still miss my Maxxum 7 that I used to have, quite possibly the best camera, all things considered, of any type, that I’ve owned. I reckon the screwmount Leica cameras and their ilk from Canon, Nikon etc., are the nicest compact cameras to buy, particularly without any electrics. There are some beautiful examples for around £300, and they are infinitely repairable. This should be required reading for anyone looking to get into this hobby. I’ve had my fair share of point and shoots that have worked, and many that haven’t. The thing is, I dont pay more than $5 – $10 for a cheap camera, so if it doesn’t work, then I don’t care. I couldn’t imagine having that type of luck with multi-hundred, or even thousand dollar cameras. And frankly, of the highly desirable point and shoots, many of them, like the entire Yashica T-series are HIGHLY overrated. The 4 element Tessars in those cameras are no better than comparable lenses in Kodak, Canon, or Pentax cameras of the same era. Spot on article, have recently been thinking, “film’s making a come back! Why isn’t somebody releasing a new film camera?” Then realise how dumb that sounds in reality, given the mountains….no, mountain Ranges of old stock that’s still out there. 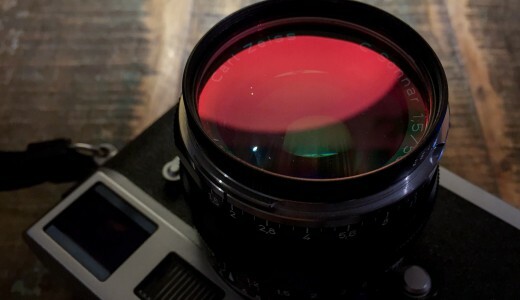 Plus those enthused about film cameras are necessarily living in a bit of a bubble – Most people out there have NO idea that film’s a bit of a ‘thing’ again, nor care. 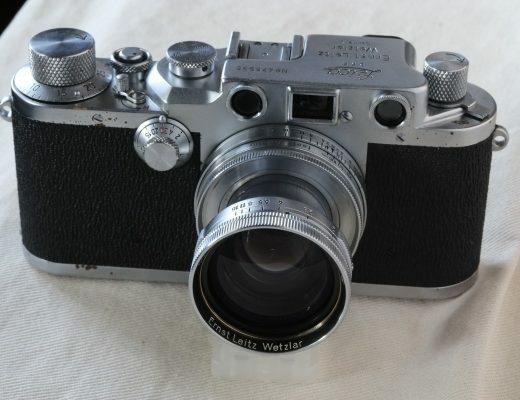 Main thing for me whilst trawling eBay and dealer sites is to keep it realistic, keep it light-hearted, keep being curious – Would I like a Contax? Sure. But I’ve also gotta eat. And frankly at that price level I’d want picture quality that only a digital system could provide. So at least when starting, buy something that you can afford to lose without regret, that has some decent reviews about it’s lens or you’ve seen and liked pics from it on lomography or flickr, that’s fun to use, and pretty to look at (or at least not ugly lol) so you enjoy taking it out with you and having it in hand. That’s steered me well so far, with some lessons on the way – The cheapest purchase was a final-year Canon tiny zoom compact, for £2.85. The most expensive was a Samsung AF Slim which ended up being around £85 (after shipping from the US and UK customs charges). The good thing is that it seems many compact cameras might’ve only came out on trips and during the holidays, so realistically it’s quite reasonable to suppose that (if you don’t drop it), a 2nd hand compact camera in good nick will work for a reasonable length of time going forwards. But yes there will come a day when all that electro-mechanical gee-whizzery might give up the ghost….In which case, stock up on your older gen range-finders Now…! Great read and I agree with pretty much everything said. The hard reality is that for the most part many of these cameras were never intended to be used as long as they have. Combine this with the lack of spare parts and reliable repair services and the whole situation does seem pretty bleak. I recently purchased an F5 that I love but part of me is still trying to keep in mind the camera is over 20 years old and may die at any time. I don’t think that means we should give up on film photography but unless companies resume prodution of film bodies I really do wonder how much longer film photography can survive in it’s current state and still be economically viable for most of us. Deep thoughts. Really good insight, worth reading not only for film beginners. Great read and a very good point to think about. The question I ask myself is, what is the alternative? Not shooting film anymore? Go digital and loose more than 50% of the cameras value right after leaving the shop, because the manufacturer releases a new model every 6 month? In this case, I still prefer to stick to mechanical film cameras, as they might loose some value, but are more futureproof than any digital camera that has or will beeing released in the future. After a good CLA, a Leica M model should work for decades again. In the end it’s a hobby and hobbies ain’t cheap anyway. Buy a Nikon F or F2. A Nikkormat. A Canon FTb, F1. Any M series Leica up to the M6. Leica Sl or SL2 (film). A leica CL or a Leitz-Minolta CL. Some are not so compact, but they seem to hold up the best. It’s a trade off. Weight vs. operational life. Many of the cameras I mentioned still have a good supply of parts available. Large format cameras like the Sinar, etc. Never die. Hasselblads. Never die. Buy anything you can afford at the moment, anything you feel good with and carry it all the time. Thank you for the splash-in-the-face reality check. And I say that as someone with a small but quality-focused collection of film kit. As you noted, my main criteria is, “will this purchase help my photography business or make me more competitive?” That’s the standard I used last November when I bought an extremely clean Nikon F100 at one of Tokyo’s finest used camera stores. And if you know Tokyo, that’s saying a lot. The F100 supplements my Nikon D700, which while approaching its 10th anniversary continues to soldier on and still produces files that result in happy commission clients. It was, in my mind, a choice between an excellent condition F100 or a comparable used Nikon DF (US260 vs. $1,500). Easy choice for me, and not just because of the price differential. Now there’s a different dynamic involved in my more recent decision to pick up a Mamiya Press Super 23 kit. Having never used a camera that requires me to use, remove, and then replace a dark slide, the learning curve has been steep. And so has the realization that I needed to source a foam kit for the roll film holders (thank you US Camera) as well as a few other bits, along with a heavy-duty backpack to haul a surprisingly heavy kit. But if I can master this cumbersome camera, the 6×9 images captured on Fujichrome Provia should be sublime. Well, at least that’s the hope. Lets not forget buying a camera only where the cost starts, no you have to buy film, good film if you want sharp pictures. Then get it developed, then scanned, all to put it on instagram. It getting slightly ridiculous, cost of developing are getting impractical. One way to look at things is, yes it’s gonna break someday (probably irreparably) BUT that’s the cost of photography. People will spend hundreds or thousands on a shiny new digital camera, only to shoot with it for a few years and then let it languish in a drawer because it’s too old. Who’s still shooting with their D80’s, D70s etc? I’ve got a first gen X100 that I’ve held onto but is barely worth selling. The idea of resale value is kind of a luxury only afforded to lenses and film cameras really. There are very few digital cameras that have held onto any value after 5-6 years… Okay so even if you splurge on a mint Contax T2 and spend $700, if it breaks in five years so be it. For what I spent on my Xpan, I could have bought a new Fuji XT3, which will share the same fate as every other digital body. I plan on keeping it until it dies, repair it if possible until it’s dead. Im sure by then I will have gotten my moneys worth and then some. Nikon and Canon should release a film camera. I bet they will. I hope it´s a rangefinder. I was banned from a photo forum for insisting it is an absurd situation LOL. W/ so much interest in film cameras the only option of buying new is either nikon f6 or a Leica MP both stupidly expensive. We need a new 700 dollar film camera. make it a 700 and a 1.5k. Pinholes NEVER die! I will wax on. The largest issue is finding competent repair shops. The one I go to is great (Mid-State Camera, Warwick RI). They will look at the camera and tell me whether it is worth repairing or not, and give me a good approximation of the cost. But I doubt they will take the skin off of a Contax T2, and even if they do they don’t have spare parts. Mid-State does have a trove of spares for big name SLR’s, so they can still be revived. Mid-State has been in business for decades, but there is no apprentice picking up the craft there. I am NOT ADVERTISING for Mid-State, it’s just an integral benefit to my film camera experience. The point and shoots satisfy the film shooter’s desire to have something pocket-able and capable. From reading the ongoing articles here, many “low quality” cameras fulfill that need. I have had pretty good luck purchasing from Japanese sellers on ebay. 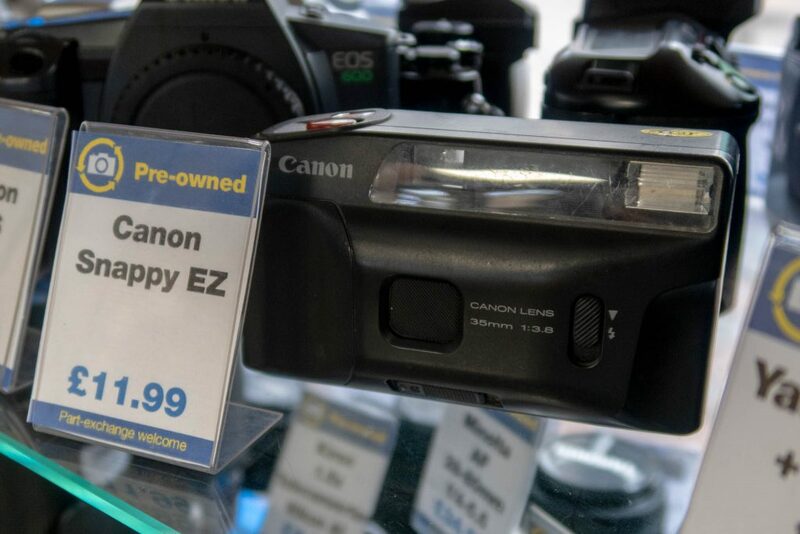 Unfortunately there is not a camera shop nearby that stocks point and shoot film cameras. I received a Konica Hexar advertised as “mint” from a Japanese seller, but it would not advance the film. I returned it and received a refund promptly. Despite the remote nature of the purchase, ebay does provide a measure of protection for a limited time. Regardless, age takes its inevitable toll. My Nikon L35AF, a wonderful camera was unfortunately dropped (twice) last weekend in NYC and it stopped working, then it started working again. The jury is still out on that one, but it was not a big outlay and a great camera. I cannot push myself (any more) to spend a big amount of money again on an expensive electronic based film camera. I just trashed a Fuji Klasse that gave up the ghost. That one hurt a ton. To conclude, low cost and capable is the way to go from here on out when it comes to battery dependent cameras. Minolta HiMatic, Olympus 35’s, that ilk is still interesting to me. As for Leicas, the good news is there are and will probably always be good repair services available. I own an M6 and an M3. Give me the choice on which one to take on vacation and I will always take the M3. L.
Its all to easy to get caught up in the hype and excitement of this re-burgeoning film photography world and you are right on the button to raise this issue of a limited supply of ageing equipment; caveat emptor (buyer beware) as always is a worthy motto here. I always felt that the coolest thing was to have what everyone else doesn’t have so those buyers out there looking for the cool camera to walk about town with should be looking at the lesser known underdogs that the trendies are overlooking. That might take a little research and employing many of the points about understanding your needs made above and in doing so they would learn more about the subject and make the right choice. Interesting essay. I purchased most of my cameras between 1999-2005 off eBay. That has amounted to over 200 cameras and the most I ever spent was $75 for a well functioning Nikon F2. I look at the prices today, of the cameras I bought, and I am blown away. It is crazy ridiculous in my opinion. For perspective I started with cameras back when they were 100% mechanical and just coming out with a light meter. I started photography courses and developing when I was 12. I like total control over my camera starting with the camera and ending when I printed the photos. While I have a fair number of SLRs that have aperture control and program control I have yet to use those options to this day. I think mechanical and shoot mechanical. Heck, I have a Minolta 7D and I shoot that in manual when I use it. I also prefer stick or automatic. Now that brings me to the cameras mentioned here. I personally see very little difference between and automatic/autofocus film camera versus a Canon G9 digital camera other than the media. I also would never personally spend more than $25 on any of the ones you listed whether an automatic Olympus, Yashica, or Contax. Anything 100% electronic is going to have a limited life span and it will fail. No different than a 2015 F150 versus my 1965 F100 which will still be on the road when the 2015 dies. So as long as people want to act like lemmings and chase the latest fad then go right ahead. If you want to learn photography, then one could do better than a simple point and shoot, whether or not a low end Pentax or currently high end Contax. 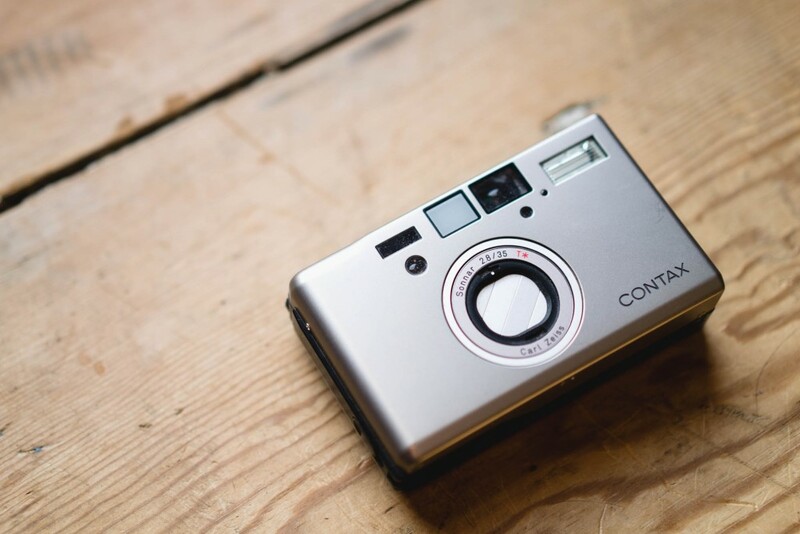 Every time I’m reminded of the compact craze I’m suddenly very happy about my brain not tolerating autofocus. The other day I walked into a reputable Central London camera store (getting something fixed) and saw a Yashica T4 on sale in the display box for £545! I giggled and thought to myself, “I know these things have gone up in value but surely you don’t think you will sell it for that”. Whilst I was waiting for them to fetch my repaired camera someone came in and asked about the T4. 2 minutes later they were paying the £545! When the sales person asked if they wanted film he said “colour please”. When they asked whether they wanted 160 or 400 speed film the buyer said “what’s the difference?”. The hype is real. You could also just think of it as the cost of photography. The luxury of resell price for photography pretty much is limited to lenses and film cameras, very few digital bodies have held their value. How many expensive new digital bodies have people bought and then discarded into a drawer after it’s depreciated into nothing and is outdated? If you were to spend $700 on a mint Contax T2 and get five years out of it before it breaks, would a new $700 digital body still be getting use (or be worth anything) in five years? 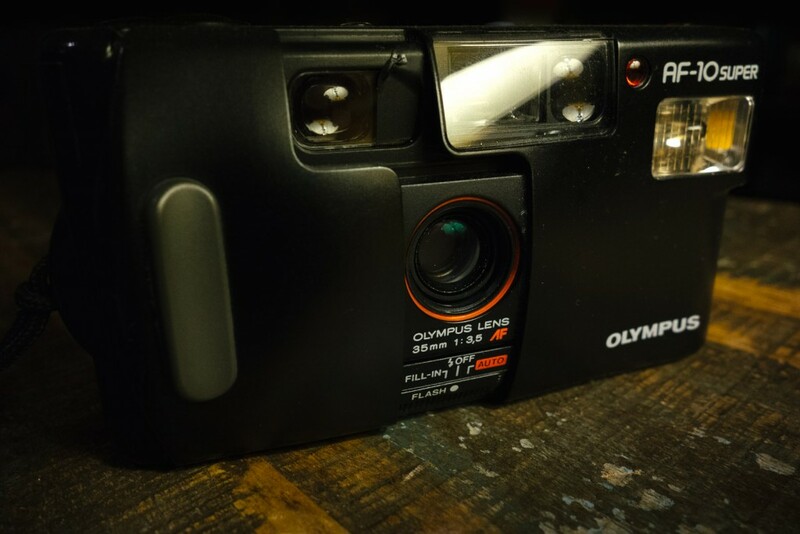 I got my Xpan before the prices doubled but I plan on keeping it until it dies, someday when it does I will have gotten my money’s worth and then some. I would say go look for deals, I agree that the prices have gone ridiculous on some of the cult cameras but if you actually plan on using and keeping them it could be worth it. Same with phones or laptops, you buy it and use it until it eventually dies… A mechanical camera is a better investment, I saved up for an M2 and it’s 60 years old and will outlive me. I had a few of the cult compact cameras Nikon, mju etc but started to sell them off last year and I’ll be using the money for a nice sunny holiday instead. The only compacts I swear by are from the Pentax Espio range ( espionage 80, 120m, 150SL and the 928 which will give any Compact Contax, Yashica, Mju a good run for its money and as I paid no more than £10 for most of them including my Espio Mini I am very happy indeed. People need to stop following the hype as there are some pretty good compacts out there that are still very cheap. Why pay £500 for a compact that will die on you eventually when you can purchase a pretty decent compact for under £20!! This is such a great post. A lot of wisdom. That was the exact reason I let my Hasselblad Xpan go, but sold it six years too early (for $1,200)…. lol. At that time, Nippon camera from NYC told me that they will not be able to fix the motor and electronic parts. Everything has to go back to Hasselblad if they still provide service to the camera. Definitely an overpriced camera if you need to get one now ($3,500) and not worthy for the price tag in my opinion. It is a great camera, but the risks are high. I would say Mamiya 7II is the same case, the camera is valued higher than the cost when it was brand new and I think the electronic of the camera might fail one day. I would only invest one a fully mechanical camera….. There are so many great points in this article! Thank you very much! Sadly I read this article after paying way too much money on a Nikon Lite Touch with Panorama. But it’s in near perfect condition, so at least it will probably work for a while. After reading this article I also checked the current price for my Mamiya 645 an was surprised to see that it nearly doubled it’s price over the last 4 years. And it takes beautiful photos. And that’s way more important to me. Great article Hamish, I was about to buy a contax T3 for a bout 1k us dollars and made second research and got instead a chinon point and shoot multifocus 3001 that were sold for 350$ in 1990 for 15$! Lol. Great camera I’m having fun with it. The hype is real though. 1500$ for a contax t3 last time I checked on eBay. Late on this one, but a great piece! 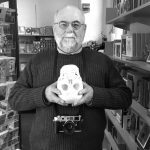 – I suffered then the problem of websites that copy and propagates inaccuracies: I replaced 35RD with a previous model, the Olympus a 35SP, with a superior lens according to all websites. It works fine and is extremely nice but my lens is clearly inferior to that of the 35RD and the shutter shake (and sound) are huge (design again). 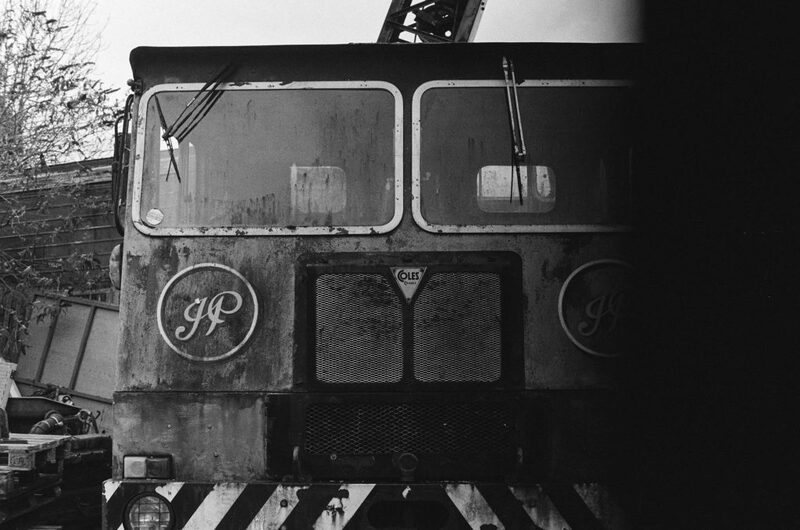 – I did it well when I bought then a Canon-P rangefinder with a 50mm 1.8 lens in near perfect condition. A perfectly working all mechanical rangefinder 60+ year old that costed less than the two Olympus fixed lens and repairs. – One of the three cameras I use more is the Olympus OM2n, a small, light reliable professional camera with full manual control and excellent TTL metering that never fails with light and excellent, inexpensive manual lenses. When I bought the OM2n I was using a Nikkormat FTn, that is excellent, but heavier and without aperture priority (uncoupled meter). – This leads to me to to two additional points I would like to stress. The first is weight, at the end it may be decisive. The OM2n with l50 1.4 or 100 2 lenses may weight approximately half than the Nikkormat equivalent. The second is the number of cameras you can in practice use. I have the feeling that you get the most of a camera when you shoot a lot with it. You can do it with 3 – 4 cameras (range finder, SRL, medium format loaded with B&W and color film). -So, according to my experience, if you are a film shooter follow the advices in this thread, think and read an try as much as possible before buying, avoid very expensive gear, and keep a small number of cameras working non-stop! Thanks very much for your thoughts! But I was just amazed ten years ago when I found that I could finally afford that Konica T3 with a Vivitar Close Focussing 135 and a 50mm 1.7 for €12. I cold never afford a decent kit when I was a kid (I’m 60) and all of a sudden I found myself with a Nikon EL2 and some gorgeous Nikkor glass for a song! I got a bad case of GAS when the prices were low and now I’ve got a virtual camera shop in various drawers in my bedroom and I’m sometimes worried my wife is gonna get upset about it. It didn’t cost much at the time, so I guess that’s it. The Yashica T3 I bought mint for €12 is now worth easily 10 times that now. I saw the prices going up and then grabbed another one at €40. One of them bricked on me and I sold it to someone who wanted it even broken. And that’s the thing. I found a Konica Big Mini at a shop last year for €25. I tested it with a battery in shop and everything worked. One roll of film later and it bricked. The funny thing is I resold it to the same guy who obviously is harvesting parts or something. What do you think of the new Reflex camera that’s coming out. It’s the first new SLR in production and has a lot of features that match up to the newer technologies while remaining analog and using film. Have they reached out to you for a review? I’ve resisted buying any more cameras because now they are just too expensive. I was lucky to get the collection I have now. Whether mechanical or electronic, any or these pieces do have a limited time on this earth. Just weeks ago Leica wrote off the entire R8 & R9 line, probably something like 45,000 cameras made. Any of these survivors of the apex of film may last decades or days and there’s no way of knowing. I just bought a pristine R8, late Portuguese model, with a motor drive for something like US$570. The rechargeable batteries even still work too! Personally have a collection of R lenses I recently reverted back to their R mounts so I gambled. How do you get a small family? Start with a large one then sell the first and second born to get your Conatarex or Contax overhauled by Henry Scherer at http://www.zeisscamera.com/. I have had three Contaxes, l, lla, and llla, restored by him and bought from Henry a fully restored Contax ll, and lll, the pre war lll is so perfect it’s 1938 meter works and is accurate. These cameras return as almost new 60+ year old cameras. But worth it, as we all know there is only one rangefinder and its a Zeiss Contax ( no, no, don’t take the fly). Likewise there are specialists in Leica reincarnation, and born again Rolleiflexs Let alone one or two who can exorcise Linhofs of all warts and demons. The point is; all these brands are expensive to buy used, but you can keep them going. Not so true as cameras moved from clockwork to electronics. If you can keep your 1950s Omega Watch going, you can keep your clockwork Leica going. This is the same as the old car world, old cheap cars can be hard to find parts for as it it is not worth making bespoke part runs. How ever there is no part you can’t get for a pre-1931 Bentley, Bugatti, Alfa 6c etc, the cars are too valuable not to make part new parts for them . if you happened to have mislaid your supercharger in the1930s there is always some who will make you a new one for the price of small house in Ipswich. We are beginning to see this trend in high end cameras, they are getting too valuable not to keep going . How ever the golden rule of old cars is that the purchase price is just the down payment on the rebuild, and that is getting true of old cameras. How ever if ageing cameras worry you then you can still get a new Nikon F6 ,and a Leica MA, but they are pricey , then there is always a Nikon S3 Millennium not new but only 19 years old , cheaper than an MA, but it ain’t cheap. But large initial outlay will be redeemed when you sell it, in that they should not have lost, much, if anything. However I have just shot a roll on a pre war Zeiss Nettar, if the bellows are OK and the shutter works there is nothing to go wrong, and the lens if not shot into the sun holds its own against most moderns, those 6×9 negs will trump most puny 35mm cameras. There are loads of Nettars on ebay, they fold and fit a pocket, all for under £50………..That said, Hamish spot on piece.